Cavities can be painful, unsightly and expensive to treat. Preventing tooth decay and keeping the cavity creeps away should be high on your list of priorities. At Bertagnolli Dental in Westminster, we treat numerous patients every month for cavities and other issues related to tooth decay. Many of our patients feel like kicking themselves when they realize how easy it is to prevent tooth decay in the first place. Keep reading to find out how to avoid the discomfort and inconvenience of cavities in your teeth. Cavities occur when the outer layer of enamel on your tooth gets eaten away by bacteria that feed on sugar. This usually presents as a hole in the tooth, often on the chewing surface of molars or on the inner surface of your teeth. The bacteria can dissolve the hard enamel and the layer of dentin beneath it. If the decay reaches beyond this layer, you will be left with exposed nerve endings that can cause considerable pain. Many people don't realize they have a cavity until they feel this pain. The easiest way to prevent tooth decay is to pay attention to your eating habits and make sure you have a good dental hygiene routine. Some people are more susceptible to cavities than others. If you have thin enamel or have already suffered from one or more cavities, be extra cautious. Bacteria on your teeth feed on sugar and produce an acid that dissolves your enamel. To keep your teeth strong and healthy, it is best not to allow sugar or acid sit on the surface of your teeth for too long. This means brushing your teeth regularly, at least once in the morning and once at night. If you are eating sweet or sticky foods, eat them in one sitting and brush your teeth afterward. Do not snack on sweets throughout the day. In addition to brushing your teeth, also remove the food particles that get stuck between your teeth each day. This can be done with floss or interdental cleaners. Removing food particles is particularly important, as carbohydrates that remain in the crevices between teeth will provide a welcome place for bacteria to thrive and cause damage where you cannot easily see it. If you are unsure how to clean your teeth correctly using these tools, your dentist or hygienist can help you. According to the AmericanDental Association, regular exposure to fluoride keeps your enamel strong and helps prevent decay. Use fluoridated toothpaste, a mouthwash containing fluoride, and drink fluoridated water. Check with your dentist about the appropriate amount of supplemental fluoride for children. Yes, preventing tooth decay and keeping the cavity creeps away is that easy. And don’t forget regular visits to Bertagnolli Dental in Westminster for oral exams and professional cleanings. Of course, if you find yourself with tooth decay, cavities or any other issues, we offer affordable and permanent solutions to restore your health and your smile. Get in touch for an appointment or to learn more about dental seals and restorative dental services such as fillings and crowns. If you decide to change your current dental professional for any reason or have just moved to a new location like the Denver metro area, it can be difficult to know where to start. At Bertagnolli Dental in Westminster, we’ve been in business since 1973 and make it our priority to share useful information with our patients. Today, we have a few tips on how to find a good dentist in your city. Personal recommendations are some of the most valuable factors in the decision-making process. Ask your family and friends about their dental practitioners and their experiences. If you are moving to a new town, ask your current dentist for recommendations in the area. Once you make a move, ask your new neighbors and work colleagues for their opinions. The American Dental Association is another great resource to use, wherever your location. Check their website for a list of accredited dental practitioners in your area. Once you have a list of potential new dentists, you can start comparing them. First, analyze their suitability for your situation by looking at their website or calling. Check their office hours, compatibility with your dental insurance plan, emergency availability, and protocols. Is their location easily accessible from your home or workplace? Once you have a shortlist, make a personal visit to each dental practitioner's office. While there, talk to the dentist about your particular needs. If you have children, see if they practice pediatric dentistry. Ask if they can work on any specific dental conditions you have. Inquire about fees for standard procedures such as full mouth x-rays, fillings, and root canals. Remember to write these down to compare to other practitioners on your list. You can gather other information on your visits, such as the qualifications and continued education of the primary dentist. Ask about the facilities and technology used at the clinic, including anesthesia if you usually require this. Be on the lookout for clean and orderly workspace and proper hygiene procedures. Staff should be friendly, respectful and interested in helping you. Around the waiting area and reception, look out for any awards, plaques or evidence of community involvement. After visiting and collecting this information, you should have a good idea of the suitability of some different dentists for your needs. If you require further insight into their customer satisfaction ratings, check the Better Business Bureau for their accreditation and reviews. It may seem time-consuming to go to all this trouble, however, having the details of a reliable and trustworthy dentist on hand is priceless, especially in the case of an emergency. Now that you know how to find a good dentist in your city, feel free to look into Bertagnolli Dental in Westminster as one of your options. We have happy, healthy patients, and you’re more than welcome to call or drop by our dental office on Bradburn Boulevard for more information. One of our friendly team members will go over our services and prices, as well as answer any questions you might have. Supermarkets and big box discount stores across Denver, Colorado and the country for that matter offer shelves full of toothpaste options. Some even have entire aisles dedicated to oral hygiene. How do you decide on which toothpaste is right for you and your family? Well, Bertagnolli Dental in Westminster is here to tell you the truth about toothpaste, its ingredients, and the adverse effects you should know. Toothpaste is separated into subcategories. In most stores, you’ll find specialized whitening toothpaste, tartar control toothpaste, fluoride-free toothpaste, kids toothpaste and toothpaste for sensitive teeth. Some people will base their toothpaste choice on their individual needs. This can mean buying a different toothpaste for each member of the family. Others will choose their toothpaste based on the flavor and even price. Some of our Bertagnolli Dental clients can list off the functions and attributes of their preferred brand, almost repeating the TV commercial word for word. Does it pay to be loyal to one brand of toothpaste, or should you just buy whatever happens to be on special that day? The harsh reality is that toothpaste is mainly a cosmetic product. Despite the boasts proliferated in toothpaste commercials, the truth about toothpaste is that it does not contribute significantly to your oral hygiene. What toothpaste does is create foam and gives your mouth a fresh feeling. We associate a lather or foamy sensation with soap and cleanliness. The strong minty flavor incorporated into most toothpaste gives the whole mouth a crisp, clean, and fresh taste, temporarily at least. While toothpaste certainly has a pleasing psychological effect, it does not necessarily impact how clean your teeth are after using it. 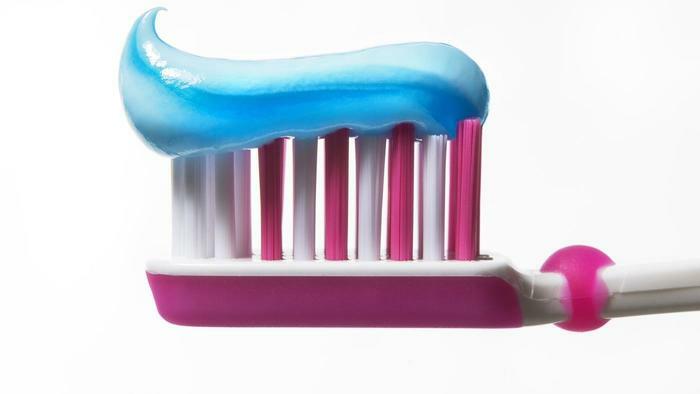 In a clinical study to measure the properties of whitening toothpaste, researchers at the University of Bristol Dental School found that there was no difference between the whitening toothpaste, generic toothpaste and plain water at inhibiting stains. The whitening toothpaste produced slightly better results than generic toothpaste and plain water at removing stains, however, it was not deemed capable enough to be clinically relevant. · Fluoride - This remineralizes the enamel of your teeth, making them stronger and more resistant to decay. This is one of the most important ingredients of toothpaste, and sometimes the only true active ingredient. Some people are wary of fluoride's effects and try to avoid it, even though it is effective in preventing cavities. · Abrasives - Calcium carbonate and dehydrated silica gel help to physically scrub the surface of the teeth and remove food particles. Brushing too hard and fast without using the correct technique can wear down your teeth and remove some of the enamel. · Detergents - These create the foamy lather we mentioned earlier. This does not technically help to remove plaque from your teeth, but it does create a pleasing sensation. · Flavorings - Usually menthol based flavors and sweeteners such as saccharin are used to make toothpaste palatable. Toothpaste does not usually contain sugar, even though you can find sweet bubblegum and fruit-flavored tubes of toothpaste marketed towards children. Specially formulated tartar control toothpaste is designed to prevent the buildup of hardened mineral plaques or 'tartar' sometimes found on the inner surfaces of the teeth. They usually contain extra ingredients called pyrophosphates – tetrasodium or tetrapotassium pyrophosphates are the compounds added to toothpaste to fight the formation of tartar or calculus plaques. Unfortunately, according to the Houston Health Science Center Dental Branch, this type of toothpaste can cause irritation in some users. Pyrophosphates create higher than usual levels of alkalinity in the mouth, to which some people can be sensitive. The presence of pyrophosphates in toothpaste requires the addition of more flavorings to hide the bitter taste. It also means the level of detergent is increased to allow for solubility of these tartar-fighting compounds. The combined increased concentrations of all these components can contribute to irritation in the soft tissue of the gums and palate, all causing further hypersensitivity. Toothpaste for sensitive teeth also contains an added ingredient, potassium nitrate. This compound desensitizes teeth and reduces the feeling of discomfort caused by hot and cold temperatures or sugary foods. Unfortunately, by using this additive, you may be just masking the pain of a cavity or serious issue requiring proper dental care and treatments. What is more important than toothpaste? When it comes to your dental health and the truth about toothpaste, some things have a far bigger impact. The real tools needed for good oral hygiene are a toothbrush and dental floss. Choose a soft-bristled toothbrush and either traditional floss or floss in a plastic Y-shaped holder. The soft bristles of a toothbrush will effectively remove the food particles and plaque on the surface of your teeth without damaging the enamel. A toothbrush with very stiff bristles can cause abrasion of the teeth and irritate the gums. Using floss will physically remove the plaque and food stuck in the gaps between your teeth. It is this physical removal of debris that essentially cleans your teeth. The toothpaste, as we have explained earlier, is more for show than for hygiene. If you want to drastically improve your dental hygiene, pay close attention to your brushing technique. Brushing the exposed surfaces of each tooth individually with tiny circular movements is effective in the removal of plaque from crevices between teeth and from where the tooth meets the gum line. If you usually brush your teeth with long back and forth motions, sweeping five teeth at a time, try to alter your technique. Some hygienists recommend brushing your teeth once without using any toothpaste, and then again with the toothpaste. This allows you to concentrate on your brushing technique and see where exactly the toothbrush is hitting, without the foamy toothpaste obscuring the action. So, now you know just what toothpaste contains, how effective it is, and some of its possible adverse effects. Will knowing the truth about toothpaste change how you approach your oral hygiene? For more information on proper dental care or to schedule an appointment, please contact Bertagnolli Dental in Westminster, Colorado. Why Do We Suffer from Tooth Sensitivity? Tooth sensitivity is a common complaint from many dental patients at Bertagnolli Dental. If you have ever experienced a sharp pain or discomfort upon taking a bite of ice-cream, very sweet foods, or acidic foods, you are not alone. Around one in four adults suffer from some degree of tooth sensitivity. So, why do we suffer from tooth sensitivity? When your nerve endings are exposed, stimulation from high or low temperatures, sugar, and acid can turn eating into an uncomfortable process. Although some people are more prone to suffering from tooth sensitivity than others, there are some easy steps you can take to minimize the discomfort. Before you combat tooth sensitivity, it is important to understand the causes. Our teeth are made up of different layers. On the very outer surface, there is a layer of enamel. This is the very hard mineral layer visible on the outside of your teeth. Underneath the enamel, there is a layer of dentin which supports the enamel and surrounds the tooth pulp, where the nerves and blood vessels are located. If your tooth has a very thin layer of enamel, acid, sugar and hot or cold temperatures can stimulate the nerves easily and cause an uncomfortable sensation. The thickness of the enamel layer can vary between different teeth and between people. Usually, the layer of enamel forms a substantial barrier between the contents of your mouth and the sensitive nerves within your teeth. If you naturally have a very thin layer of enamel on some surfaces of your teeth, you may be prone to tooth sensitivity. Most people suffering from tooth sensitivity will develop it over time, and it is generally due to one or a few of the following causes. Grinding your teeth will physically wear away at the enamel and can produce areas with high sensitivity. Often, tooth grinding occurs while sleeping but it can also develop as a reaction to stress. If you suspect that you may be grinding your teeth at night, ask your dentist about a mouth guard. It will prevent doing more damage to your teeth. Acidic food and drinks cause demineralization of the enamel layer. Frequently exposing your teeth to acidic substances will chemically erode the enamel and can cause sensitivity. People who suffer from acid reflux at night can also inadvertently create an acidic environment in their mouth. If you suffer from tooth sensitivity, try to minimize your acid exposure. If you are consuming acidic foods and beverages, it is better to consume everything within a shorter space of time, rather than to snack or sipping continuously throughout the day. Your brushing habits and the type of toothbrush you use could be contributing to tooth sensitivity. Hard bristles and aggressive brushing can wear down the enamel layer by abrasion. Choose a soft-bristled toothbrush and take your time when brushing, ensuring you clean all surfaces gently and thoroughly. Avoid toothpaste and mouthwash with a high chemical content that can damage the enamel of sensitive teeth. Following these tips regarding why do we suffer from tooth sensitivity should minimize your pain and discomfort for the short and long run. If in doubt, always contact your dentist or Bertagnolli Dental for a professional check-up, so we can help determine the reasons behind your particular tooth sensitivity. Give your little one the best advantage by starting their dental care early, instilling healthy habits from the outset and avoiding these common mistakes. Here are Bertagnolli Dental’s top 7 ways to improve your baby's dental health. The American Academy of Pediatric Dentistry recommends that every child should see a dentist by the time they are a one-year-old. It is proven that early intervention by a professional will lower your child's risk of developing issues. Your dentist can demonstrate correct oral hygiene practices and analyze the potential for tooth decay. Putting a baby down to sleep with a bottle of milk may save you some time and hassle, but this is a dangerous habit to form. The sugars in milk will fuel bacteria in your babies mouth all night long, facilitating tooth decay. 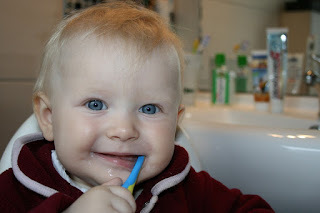 Clean your baby's teeth before bedtime, and then if necessary to sooth them, you can give a bottle with warm water. Medications designed for babies and children can have extremely high sugar levels. This is intended to make them more palatable for children and easier to take. This is not usually a cause for concern, however, if your infant has to take a daily oral medication with high sugar content, you should ask your dentist for specific advice. Sippy cups or 'no-spill cups' are used by toddlers in the transition between bottles and drinking cups. The design of sippy cups means that the liquid is often ingested slowly and has ample time to sit within the mouth. For milk and juice, this means a high exposure to sugar and an increased risk of tooth rot. Try to give your child the sippy cup at mealtimes only and avoid them using it continuously throughout the day. Children over the age of 2 and 3 should not be using a pacifier. Prolonged pacifier use can affect the growth of your child's milk teeth, permanently altering their arrangement and the shape of their mouth. Help your child to become independent of pacifiers at a young age and avoid the risk of dental malformation. After milk, fruit juice is the go-to beverage of choice for young children. What many parents don't realize is that juices often contain added sugar, and can be as harmful as soda to their child's developing teeth. Look for pure fruit juices with no added sugar and limit the consumption of sweet drinks to mealtimes. Accustom your child to drinking water throughout the day. Taking the time to practice good oral hygiene with your baby from the very beginning will set them up for a healthy future. You can start by cleaning their gums with a soft cloth and water twice a day. Once their milk teeth start to appear, use a soft bristled toothbrush and fluoridated toothpaste to clean all surfaces gently. This is the most impactful way to improve your baby's dental health. Contact Bertagnolli Dental today for further questions about the 7 ways to improve your baby’s dental health. Now is a great time to make the changes that will positively impact the way your children grow and following these simple guidelines will make your life easier too! We are always available to help make your dental visits and home dental care a better experience at Bertagnolli Dental. In the last decade, cosmetic dentistry has exploded in popularity and is now affordable and available to individuals in every part of the country. Best of all, it’s bringing new smiles to people who would not have previously considered a cosmetic procedure. At Bertagnolli Dental, we’ve helped many patients with dental veneers, teeth whitening, and other cosmetic dentistry options. What makes cosmetic dentistry so attractive, besides the end results? Well, it’s low risk, very fast and provides effective and long-lasting results. It can be seen as an investment that pays itself back many times over. In fact, most people that elect to get their teeth whitened or cosmetically transformed often wonder why they did not get it done sooner! The appearance of your teeth should not have to impact your professional or personal life. Large gaps and crooked teeth can be improved with braces, although this takes some investment and time. Broken or uneven teeth can quickly and easily be fixed with veneers, which are a thin layer of porcelain that is fitted over the outer surface of your existing tooth to create a better appearance. This is useful if you have a chipped or uneven tooth and want it to match your other teeth. However, a badly broken or damaged tooth may not be suitable for a veneer and need additional treatment. We will consult with you regarding your other options to restore your smile. As for stained or discolored teeth, which are very common among smokers and coffee drinkers, there are options to whiten your teeth with results that last up to five years. Teeth whitening or bleaching can be achieved using a bleaching gel and mouthguard, or by laser treatment. For the bleaching gel to work effectively, a dentist will make a mold of your teeth and use this to create a fitted mouthguard. The gel is applied with the mouthguard and left for a certain amount of time. This is repeated at home over a number of weeks. While you may see teeth whitening offered in beauty salons or home kits, it should only be carried out under the guidance of a dental professional. While people may be tempted by 'do it yourself' home teeth whitening kits, the truth is that these products are not necessarily effective or safe. Many will not contain enough bleaching chemical to lighten the color of your teeth significantly. Also, the mouthguard provided is not personalized to the shape of your teeth. An ill-fitting mouthguard can lead to the gel spilling out and coming into contact with your gums, tongue, and soft palate, causing irritation and even blistering. 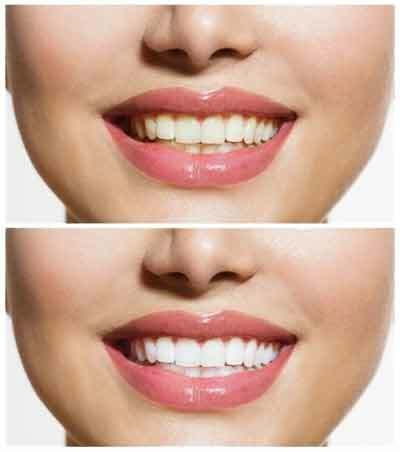 The fastest method of teeth whitening is power whitening or laser whitening. For this, your dentist will “paint” a bleaching product directly onto your teeth and then use a laser to activate the bleaching reaction. Laser whitening will only take about an hour to complete. It is the fastest option, but usually more expensive than gel bleaching. If a chipped tooth or discolored teeth are holding you back from showing the world your smile, we’re here to help. Contact Bertagnolli Dental today to learn more about dental veneers, teeth whitening and other cosmetic dentistry options. We all know that visiting the dentist is necessary to maintain a healthy set of teeth. Unfortunately, up to 30% of U.S. adults regularly put off going to the dentist or refuse to go altogether because of anxiety and fear of pain. Your friends here at Bertagnolli Dental have put together some helpful tips to make visits less painful. 1. Communicate your anxieties to your dentist. Dentists are very receptive to hearing the concerns of their patients and can adjust their treatments accordingly. If you are upfront about your particular fears, sensitivities, or past bad experiences, everyone will be on the same page and have an easier time. 2. Visit the dentist more frequently. This might seem counter-intuitive for those with an aversion to the dentist's chair, however, the more frequently you visit your dentist, the healthier your mouth is. Generally, you will need less invasive procedures. A quick teeth cleaning visit every six months is a lot less painful and stressful than a root canal every two years. 3. Improve your dental hygiene. This is by far the easiest way to avoid pain at the dentist. Brushing and flossing regularly will prevent the vast majority of dental issues experienced by most people. Learn how to brush your teeth correctly. Switch to an electric toothbrush if it is more comfortable. If you find flossing difficult or uncomfortable, use floss sticks, it is well worth it in the long run. 4. Ask about anesthesia or sedative options. Depending on the procedure, your dentist may be able to use lidocaine gel, nitrous oxide, sedatives or a general anesthetic. Reducing your sensation and awareness of dental procedures is well worth it if it means you actually go through with them. 5. Choose Invisalign tooth aligners over traditional braces. Many people experience some pain with traditional orthodontic braces. This pain is usually most intense right after a visit to get them tightened. Mouth sores can be caused by the metal brackets rubbing, or broken wires. With fully plastic aligners, you are much less likely to experience irritation or acute pain from tightening. 6. Plan ahead for a positive experience. There are actions you can take to turn a stressful appointment into a calm and controlled experience. If you practice yoga or meditation, take 30 minutes before your appointment to focus and calm your mental state. Maybe even take a positive mantra with you into the dental clinic. Use some calming essential oils on your temples, bring earphones and pleasant music to listen to during procedures and carry a stress ball or worry beads to keep your hands busy. 7. Choose a dentist that incorporates the latest technologies in their dental practice. Computer Aided Design or CAD is used by many dentists to produce dental models and devices such as dentures. Making use of this technology means that patients can experience faster and less invasive procedures. Traditionally, to take a mold of a mouth, a dentist would fill a small tray with putty and place it inside the patient's mouth with the teeth clamped down until the putty hardened. This method can be very uncomfortable and stressful for many patients, as it can induce a feeling of choking, or not being able to breathe. With modern tools, a dentist can take an accurate 3D image of the inside of your mouth without even touching your teeth. Now that you know dentist visits can be less painful with these helpful tips, go ahead and schedule your next appointment with Bertagnolli Dental. We specialize in listening to our patients and easing their fears. We’ll help you improve your dental hygiene and get you on a regular schedule for cleanings and checkups to ensure your teeth are healthy and your visits are stress-free. Periodontitis occurs when gingivitis is left untreated. If allowed to grow, the plaque produce toxins that cause an inflammatory response that will cause the tissues around the tooth to break down. When the gum separates it forms pockets that can become infected. When it’s time for periodontitis treatment in Westminster, Bertagnolli Dental have the knowledge you are looking for. Periodontitis can occur in healthy patients. Pockets that form from inflammation are the most common form in adults. The goal of a periodontitis treatment is to promote reattachment of healthy gums to your teeth. Treatments depend on the stage of the disease. Modern dentistry has come a long way. If you suffer from gum disease and need periodontitis treatment in Westminster, call to schedule your appointment today. 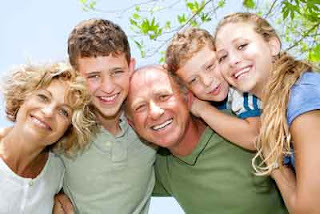 We are the dental office providing everything you need for every member of your family. If you suffer from gum disease, it’s important to see your dentist. 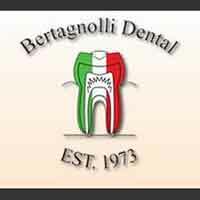 At Bertagnolli Dental we strive to provide a comfortable environment for our patients. Our team understands choosing a right dental office is important. We make you feel right at home. Gingivitis is the mildest form of gum disease. It causes the gums to become red, swollen, and bleed easily. Often caused by improper oral hygiene, it is reversible and a trip to a gum disease dentist and good oral home care. At this stage, seeing a gum disease dentist is crucial. If left untreated, gingivitis can develop into periodontitis. Plaque can grow under the gum line and irritate your gums. The toxins at this stage stimulate a chronic inflammatory response, and the tissues begin to attack the bone that supports your teeth. We understand how important good oral hygiene is to your overall health. If you need a gum disease dentist, we give you the individual attention you deserve and prices you can afford. If you are looking for the best dentist in Westminster, Bertagnolli Dental offers everything you need for the best in dental care. We provide the personal attention you need with special emphasis on gentle pain-free dental procedures for the entire family. We offer a comprehensive list of general, cosmetic and restorative dental procedures to meet your needs. Some of the services we provide include teeth whitening, implants, crown, general check-ups/teeth cleaning, dentures, veneers, and sedation dentistry. When looking for the best dentist in Westminster, we are the state of the art practice you are looking for. Early detection is the key to keeping your teeth healthy and beautiful. Your best interest is at the heart of everything we do. We invite you to experience our warm and caring dental office team. See why our patients think we are the best dentist in Westminster.